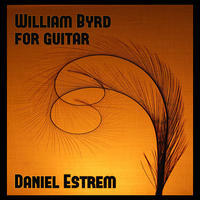 Daniel Estrem : William Byrd for Guitar. William Byrd (1540-1623) is considered one of the most famous of the early English composers. His output of some 470 compositions justifies his reputation as one of the great masters of Renaissance music. He was known for his ability to transform many of the main musical forms of the day and stamp them with his own identity. He wrote a variety of sacred and secular polyphony, keyboard music and consort music. Byrd's longer-than-average-Renaissance life span (83 years) meant that he lived into an age in which many of the forms of instrumental and vocal music that he made his own had become dated and no longer popular with musicians. It wasn't until the pioneering work of twentieth-century scholars that his work was allowed to achieve its rightful place in music history.